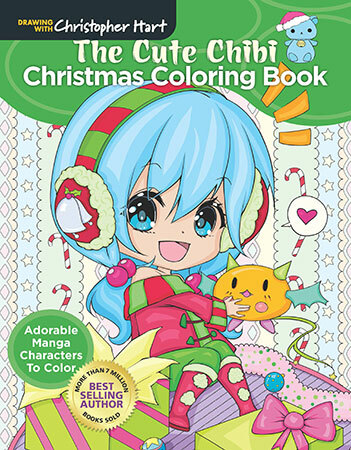 The Cute Chibi Christmas Coloring Book is a collection of 47 adorable, holiday-themed manga characters to color. Chibis are the cutest characters in manga, making them an ideal style for Christmas coloring. Imagine a little chibi Santa or reindeer, an adorable chibi kitten peeking out of a stocking, or a rosy-cheeked chibi character ice skating in falling snow. This collection includes them all and many more creative Christmas scenes to color. Intricate backgrounds accompany each character to make for a fun and challenging coloring experience, and all pages are printed single sided on quality stock to allow for the use of most coloring materials. Paperback • 8.5" x 11"